Protein is a highly essential nutrient for the human body. It plays a highly important role to promote body growth, reproduction, and healing and supports our immune system to be healthy. Protein Supplements are dietary supplements that are used primarily by athletes, bodybuilders, and fitness enthusiasts to build or repair muscles as well as aid the body with other health benefits. The global Protein Supplement market is estimated to reach a projected value of 1.247/78 kilo tons by 2023, at a projected CAGR of 4.56%. In an exclusive report, Market Research Future (MRFR) reveals that the well-spread awareness concerning the benefits of supplements is helping drive the market growth of protein supplements. The increasing level of uptakes of these supplements for the treatment of various ailments is pushing the rise of the market. Besides, the shifting preference of consumers, especially amongst the young consumer’s bracket, towards healthy food products is helping accelerate its market growth. Novelties in flavor and packaging designs are attracting the consumers to buy protein supplements. The market is growing on a global scale, and all signs are pointing towards a pathway of growth during the review period of 2017-2023. With increasing impetus being placed on personal fitness and healthy dietary measures and the resultant positive effects of these supplements, the market is poised to garner a healthy market growth. Add to these, changing lifestyle, rising population level, increasing per capita health care expenses, and ameliorating economic conditions are also contributing to the market growth globally. However, amidst all these positives, factors such as the availability of cheaper, counterfeit products and intense competition can hinder the market growth of protein supplements. Due to the towering dominance of the established market players, it is highly challenging for the new market entrants to compete. The global Protein Supplement market comprises of various market leaders; this includes GNC Holdings Inc. (U.S.), GlaxoSmithKline Plc. (U.K.), Herbalife Ltd (U.S.), Glanbia Plc. (Ireland), Archer Daniels Midland Company (U.S.), Abbott Laboratories (U.S.), and Amway (U.S.). On January 2019, Amazing Grass, a leading plant-based supplement provider in the US, launched an alternative to animal-extracted collagen supplements with their new product Amazing Protein Glow. The animal-free product will be a revolutionary addition to the supplement market. August 2018 saw Starbucks, one of the pioneering American coffee company, announced its latest beverage addition – blended cold brew drinks with pea and brown rice protein. The drink comes in two different flavors, cacao powder and almond butter. The drink is an on-the-go protein shake, which is in high demand in recent times. The global Protein Supplement market is divided into three key segments: by sources, by applications, and by forms. By sources, the market comprises of animal-based, plant-based, and others. By application, the market includes nutraceuticals, pharmaceuticals, food, beverages, sports & nutrition, and others. The sports & nutrition market is the dominating segment in terms of application owing to its rising usage by athletes, fitness professionals, and others. By form, the market is divided into powder, liquids, bars, and others. The powdered form of protein supplements holds a major portion of the market with 57% share and is slated to continue its dominance over other forms. The geographical diversification of the global Protein Supplement market comprises North America, Europe, and Asia-Pacific (APAC) regions. Holding on to the lion's share of more than 30%, North America is projected to continue its dominance over the protein supplement market. The region is expected to grow with a CAGR of 5.65% during the forecast period. The Asia Pacific region is projected to experience the highest growth rate with a CAGR of 5.87% during the forecast period, 2017-2023. The rising availability of protein supplements coupled with the growing popularity and consumption of the same among health-conscious customers is driving the market in this region. 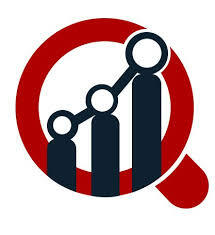 In addition to the growing popularity, the increasing geriatric population is also expected the market demand for the protein supplements in the APAC region. Following these regions, Europe and the Rest of the World will witness moderate to decent growth rate.